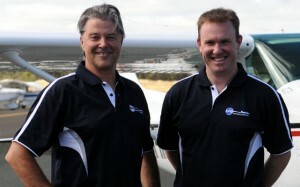 Round-the-world pilots Tim Pryse and Ken Evers. The pilots of last year’s Millions Against Malaria round-the-world flight have been recognised on a national and international scale for their charitable efforts. Millions Against Malaria pilots Ken Evers and Tim Pryse have received both the Royal Federation of Aero Clubs of Australia Des Kelly Special Achievement award, and the Paris-based Federation Aeronautique Internationale (FAI) Circumnavigator Badge. Evers and Pryse’s 2010 flight in a GippsAero GA8 Airvan marked the first round-the-world flight by an Australian designed and manufactured aircraft.